Creditors have moved to wind up the An Post challenger after a tumultuous 12 months for the firm. A POSTAL SERVICE that sought to challenge An Post appears headed for liquidation after its creditors moved to wind up the company. City Post Limited, which traded as CityPost, was set up in 1990 and provided private postal services. A notice published yesterday said that a creditors’ meeting has been called for later this month with a view to liquidating the company. The CityPost website was listed as “under maintenance” yesterday, while the LinkedIn profile of its chief executive and founder, Ian Glass, said that he had stepped away from the business last month. Neither Glass nor the company had responded to requests for comment at the time of publication. ComReg confirmed that CityPost had not been an authorised post provider since 10 July, when it informed the regulator it was no longer offering the service. The most recent set of accounts for City Post Limited show the firm registered a loss of more than €1.4 million during the 12-month period that ended 31 March 2017. The amount due to its creditors also more than doubled during the period from €1.2 million to €2.6 million. 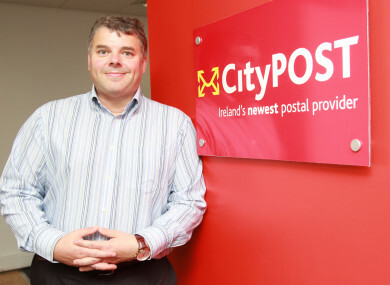 The move to wind up CityPost has come after a tumultuous 12 months for the company. At the beginning of last year, CityPost moved to challenge An Post’s stranglehold on the postal market with a new cheaper mail service aimed at businesses called ‘iPOST’. The Dublin-based firm, which said it employed around 150 people at the time, planned to invest €1 million in the development of the ‘iPOST’ system. However, CityPost was later reprimanded by the ads watchdog after An Post complained promotions for iPOST were spreading “misleading” information about the semi-state’s postal services. The warning from the advertising regulator came during the same month An Garda Siochana began an investigation into the company. The Sunday Business Post reported that the gardaí probe came after a disclosure to the communications watchdog, ComReg, by an employee who had been let go by the firm. Neither An Garda Siochana nor ComReg would comment on the matter when contacted by Fora yesterday. The incident last year was not the first time CityPost was investigated by the gardaí. CityPost’s previous attempt to break into the postal market six years ago was stunted by a garda probe. The gardaí looked into an incident at the firm after a number of confidential corporate letters were sent to the wrong address. Two months after the latest gardaí investigation, CityPost was forced to temporarily take down its website after an alleged security flaw was found in its system. A vigilante security researcher who claimed to have identified an issue in the CityPost system said he was able to find a method to hack into the website and find customers’ personal details. CityPost argued that no customer details were taken during the alleged breach and that it was a “false alarm”. Email “After a garda probe and potential cyber breach, CityPost is headed for liquidation”. Feedback on “After a garda probe and potential cyber breach, CityPost is headed for liquidation”.